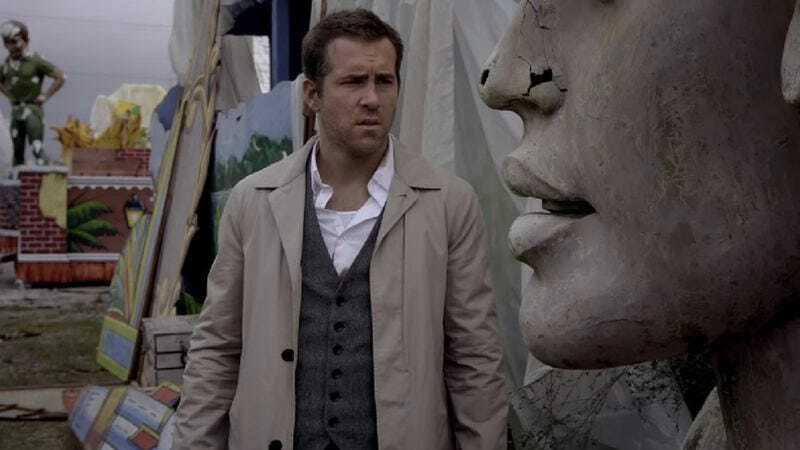 In Self/Less, Ben Kingsley plays a dying billionaire named Damian who opts to have his consciousness transferred into a young, fit host body (Ryan Reynolds), so that he can prolong his life. Anyone want to place bets on whether or not things go smoothly for Damian? No stranger to twisty, mind-bending material, Tarsem Singh (The Fall, The Cell) directs Kingsley and young, fit host body (err, we mean Ryan Reynolds) in the sci-fi thriller, costarring Matthew Goode, Michelle Dockery, and Victor Garber. Self/Less opens nationwide on July 10, but The A.V. Club and Focus Features have an opportunity for you to see it for free on July 6. For your chance to win a pair of passes to the advance screening, simply follow the link here and enter your information. As always, seats will be first come, first served, so be sure to arrive early. You can find the (rather lengthy) plot synopsis and trailer for the film below.